Training tomorrow’s musicians through innovative mobile technology and data-driven feedback. The client approached Shockoe with specific features that the ideal tool would offer. These included a metronome, tuner tools, mental practice aid, and a journal. 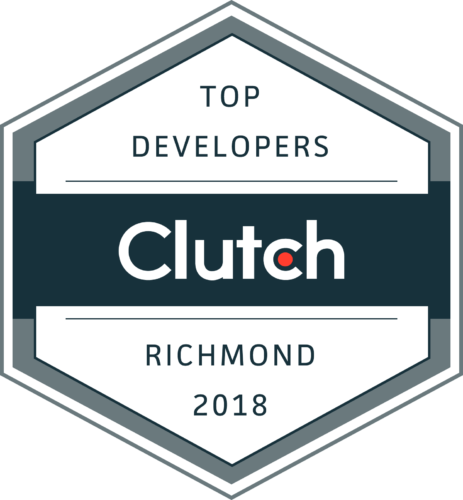 But as the Shockoe team conducted its initial discovery process to explore this idea, a dynamic working relationship with the client took root. The ultimate scope of the project began taking clearer shape through extensive conversations. The tool would provide students a way to capture qualitative and quantitative information that would help them measure their progress, target areas for improvement, and provide a means of reducing physical strain and injury. The virtual study companion that ultimately emerged was a resounding success among the students who used it, some of whom indicated that they wouldn’t want to study without it. One of the more elegant features, an enhanced mirror, included custom video recording management, custom playback tools, and a video annotation function to enable students to capture videos of their sessions and save the last 30 seconds by tapping the screen. In addition to its metronome, tuner, and drone tool, the application offered students both quantitative and qualitative based guidance toward a heightened awareness of their training habits and progress. 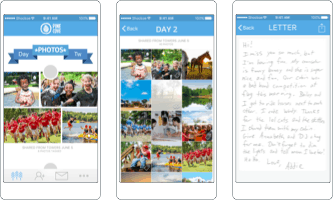 Using this application, they could keep journals of their practice experience, reinforce their personal goals for each session, reflect on their undertaking of mental practice, and track their own performance metrics. 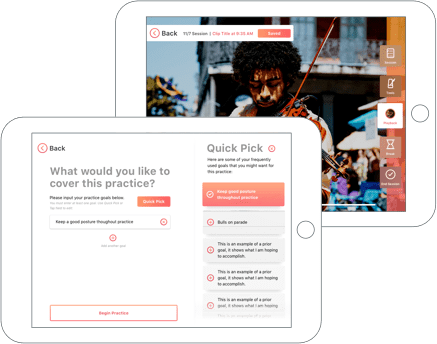 Using this innovative music tutor, students had access to the guidance and wisdom of their instructor while taking ownership of their personal self-assessment. The result was an experience of musical training that encouraged students to be fully present in their practice sessions.